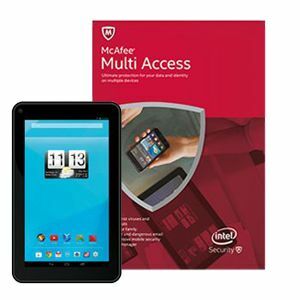 The McAfee bundle with the JLAB 7 inch table is free after $70 rebate. The catch is that you have to subscribe to McAfee and cancel within one year before you are charged. There are other McAfee bundles available on the website (see item description). This rebate must be purchased by Saturday December 5th, 2015.